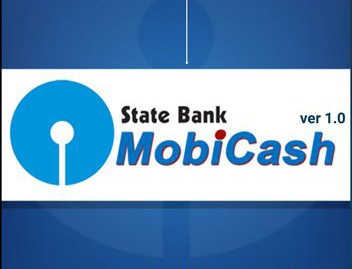 State Bank MobiCash is a prepaid mobile wallet launched by State Bank of India in association with BSNL. SBI MobiCash wallet will help you to avail cashless services like deposit and withdrawal of money, money transfer, mobile recharge, utility bill payment etc. The bill payment and recharge facility are currently limited to BSNL only. 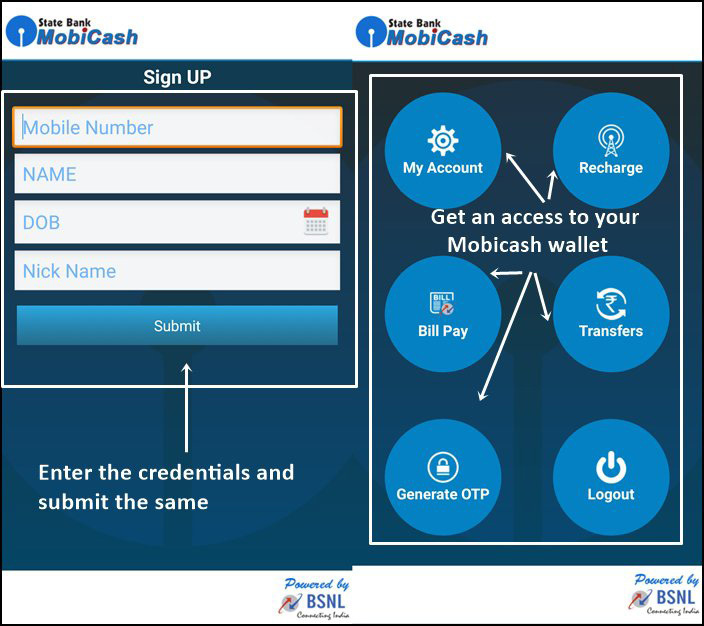 SBI MobiCash is a unique wallet that works for a smart phone as well as for basic mobile. Let’s review SBI MobiCash and its usage. 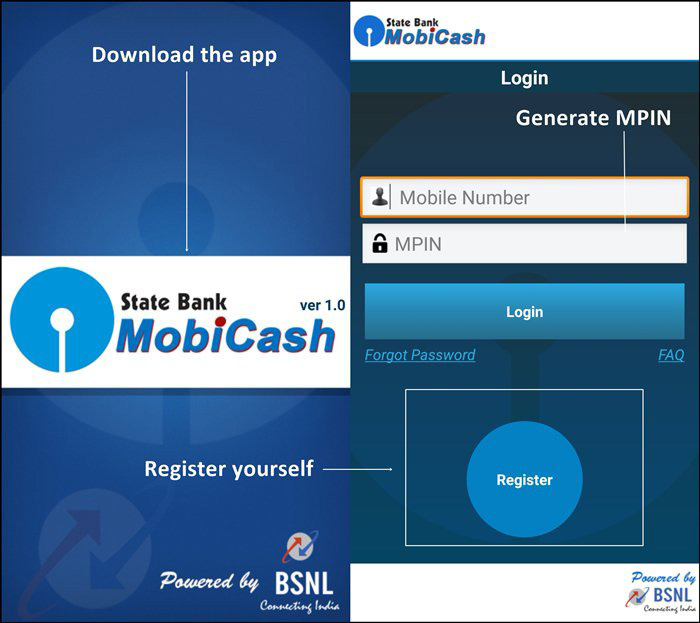 SBI Mobi Cash is prepaid instrument it cannot be linked to any bank account. NonSmartphone user can also avail facility offered by this wallet. No minimum balance is required for MobiCash wallet. How to enroll for MobiCash Wallet? Follow the process given below to start using Nil KYC Mobi Cash Wallet. Search SBI MobiCash on google play store or iTune store and install the app on your Android/iOS smartphone. Open the SBI Mobicash App on your phone. Tap on Register button on Login Page. On the Register Page, fill all the information in the form and tap submit button. You will be directed to verify OTP page. You will receive SMS on your phone containing OTP. Enter OTP on Verify OTP page and tap submit. Read Terms and condition and select checkbox against accepting and tap submit. You will be directed to Login page and you will receive your default MPIN through SMS. Enter your 10-digit Mobile number and default MPIN and tap Login. You will be directed to change your default MPIN. NIL KYC wallet does not allow you to perform cash withdrawal or high-value transaction. If you want to perform high-value transaction or cash withdrawal you need to open KYC-Compliant wallet. Also Read – SBI Mutual Fund Bandhan SWP – Should You Invest? In order to open KYC-compliant wallet, you need to pay a non-refundable deposit of Rs.20 + Service tax. You need to pay this deposit at customer service point (CSP). Customer service point is a retail store or mobile shop who are mainly in the business of selling mobile prepaid vouchers. For cash in/out process, you need to visit your nearest CSP and recharge the wallet before commencing fund transfer from your mobile wallet. It is like charging your SIM card with required balance. Where can you use SBI MobiCash? You can use SBI MobiCash for both financial and non-financial services where you can transfer fund from wallet to wallet, wallet to SBI, wallet to another account (IFSC or MMID). Financial transactions provide you with the cash in and cash out facility, recharge, and bill payments, merchant payment. Apart from this, you can check your balance, change your PIN, mini statements, update profile, transaction history and do much more. How to Close MobiCash Wallet? Closing MobiCash wallet is very simple. If you are smartphone customer you just need to install Andriod or iPhone app. If you are using a basic phone you need to send SMS: CLOSESBMC** to 51516(for BSNL user) or 9418399999 (Other than BSNL user). Make sure that your mobile wallet is empty while you are closing your MobiCash Wallet. Prepaid Instrument misuse can be prevented. No Smartphone user can also use this wallet. Claim to be more secure. Complicated product compared to other mobile wallets. You cannot link your bank account/debit card with this wallet. More procedure and paperwork is required for KYC. Overall it seems to be average product by SBI and BSNL. Do share your feedback and experience in the comment section.